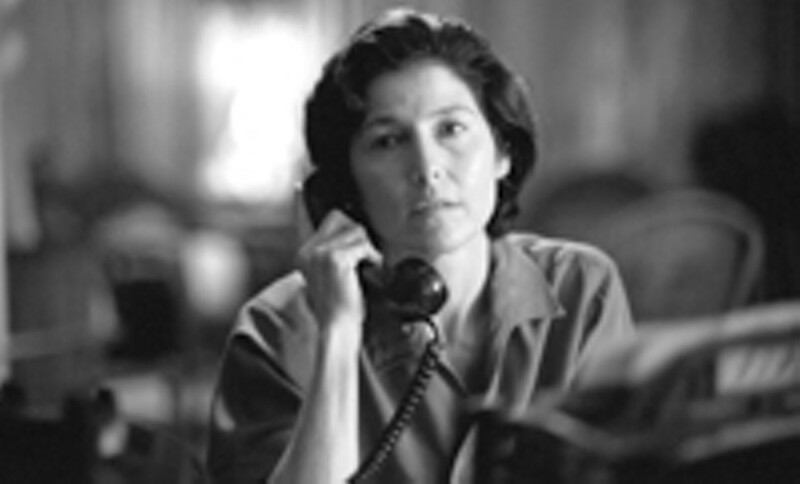 Sony Pictures Classics Part of the index of excellence: Catherine Keener in "Capote." 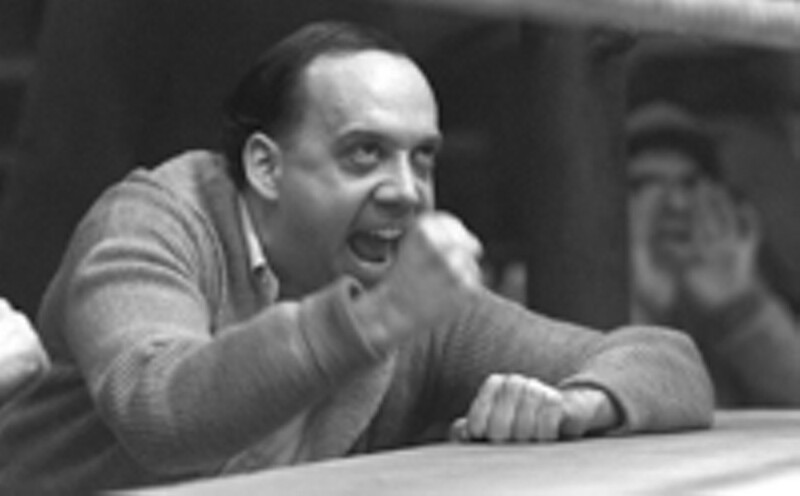 Universal Pictures If there's no snowball effect: Paul Giamatti in "Cinderella Man." Warner Bros. Pictures A typical road to Oscar: Charlize Theron deglammed in "North Country." Two great American public occasions annually illuminate the dark days and frozen nights of winter with the bright lights of hype and the torrential flow of gush. Though celebrating entirely different endeavors, both events mount elaborate ceremonies that, through assiduous cultivation of the media and enormous expenditure of money on publicity, command the attention of the nation. Both also tend to last many hours, generate quantities of shock, distaste, and sheer boredom, arouse suspicions of fix and fakery, and provoke much subsequent second guessing, clucking about costume and behavior, and generalized grumbling. I refer of course to the Super Bowl and the awards ceremony of the Academy of Motion Picture Arts and Sciences, familiarly known as Oscar night. This year's ceremony differs remarkably from the usual nights of self congratulation and disappointment in the past. For one thing, as the nominations uncharacteristically demonstrate, 2005 was a good year for the movies, i.e., the film industry produced a significant number of well made films, works that provided emotional and intellectual content as well as entertainment. The nominated titles and persons in the various categories mostly consist of worthy candidates, a really remarkable departure from a long and often dishonorable tradition. When the American film industry releases, in the same year, BrokebackMountain, Crash, Capote, Good Night, and Good Luck, and Munich --- all nominated for Best Picture --- audiences and critics should rejoice. Though all quite different, their quality suggests that Hollywood remembers its glorious past, and several remind us of a time when the industry addressed its social and political context with vigor, wit, and even an occasional dash of that rare and precious ingredient, courage. Some titles nominated in other categories, like The Constant Gardener, North Country, and Syriana, (and even some lesser, non-nominated pictures like The Interpreter and Lord of War) provide further indication of the renewed relevance of American film, more alert to contemporary currents than the usual unreliable sources in the news media. Another refreshing novelty of the upcoming night is the almost total absence of any of the bloated monstrosities of the past --- no Titanic, no Gladiator, no Star Wars episode appears among the nominations. Most people have already forgotten the blockbusters of last year, a series of loudly trumpeted flops including War of the Worlds, Batman Begins, Revenge of the Sith, and even the eagerly anticipated and disappointing King Kong. The absence of those spectaculars means that even if one film hogs all the awards and steamrollers all the other titles, it will be a work of genuine quality --- amazing thought --- instead of a demonstration of expensive special effects and more expensive publicity. The nominated films, not surprisingly, also served as the vehicles for some outstanding performances. The Best Actor category, for example, includes the names of Philip Seymour Hoffman, star of Capote, Heath Ledger of BrokebackMountain, and David Strathairn of Good Night, and Good Luck. Although they all performed with distinction in some compelling roles, I think that Heath Ledger's understated, controlled, intensely inward portrayal of the repressed, inarticulate cowboy, a man of silence and suffering, shines brightest in a glittering array of talent. In the Best Actress group the films and, perhaps as a result, the people mostly seem less consequential than their male colleagues. Charlize Theron has already been rewarded in the past, through the usual Academy practice, by gaining weight and looking ugly for Monster, and may win again for her role as a brave pioneer in the Minnesota iron mines in North Country, only this time she may deserve it. That argument of course also applies to Felicity Huffman's work as a transsexual in Transamerica, just the sort of bizarre stretch that Oscar loves. Both the male and female categories for supporting actors provide another index of excellence, but winning the award may depend, as usual, on the snowball effect, one movie overwhelming all the others. If Brokeback Mountain runs away from the field, then both Jake Gyllenhaal and Michelle Williams may very well receive Oscars. If not, either Matt Dillon or Paul Giamatti certainly deserve awards for their work in, respectively, Crash and CinderellaMan. Like Dillon and Giamatti, Catherine Keener in Capote and Frances McDormand in North Country both displayed their particular talents and skills to great advantage and again both are entirely worthy of the Supporting Actress award. The Best Director award by rights should go to Ang Lee, who in Brokeback Mountain once again exhibits his ability to control a subject with precision and power. In a properly ordered world, Larry McMurtry and Diana Ossana should then win for Best Adapted Screenplay, if only to acknowledge a wonderful blending of acting, scriptwriting, and direction, a rare combination in any movie in any year. Although it seems obligatory for a film critic to suggest at least a few possibilities for next Sunday's ceremonies, most predictions turn out to be, at best, educated guess. It always pays to remember the way the Hollywood establishment and the Academy conduct themselves; in Oscarthink, for example, Paul Giamatti might be compensated for not being honored last year for Sideways, and Judi Dench might be honored for achieving a position somewhere between a grande dame and a sacred cow, the Helen Hayes of her era. Whatever Oscar decides, however, 2005 remains a vintage year in recent film history, a rare time when a number of genuinely artful and important movies appeared, perhaps promising an Academy Award night in which whatever and whoever wins an Oscar will, amazingly, deserve it.